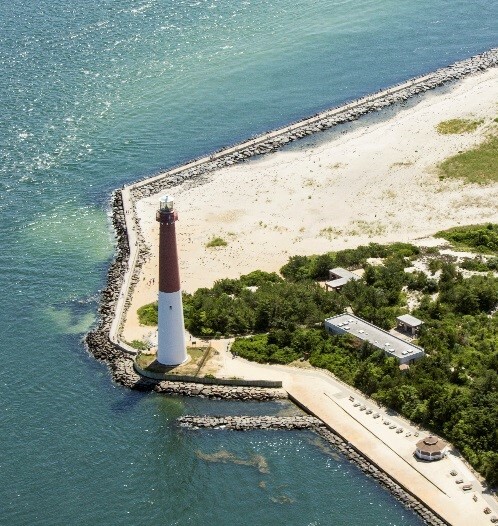 (17/P72) TRENTON – The New Jersey State Park Service is celebrating the 60th anniversary of Barnegat Lighthouse State Park on Monday, July 10, with events showcasing the historic and natural significance of the landmark lighthouse and park on the northern tip of Long Beach Island. 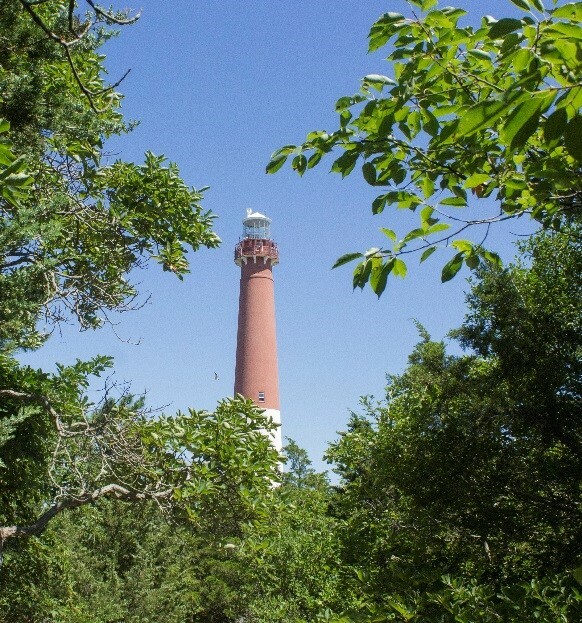 “The awe-inspiring Barnegat Lighthouse has weathered the test of time, thanks to the care of many people dedicated to ensuring this beacon will stand tall for future generations,” said Department of Environmental Protection Commissioner Bob Martin. “On behalf of the New Jersey State Park Service, I encourage the public to help us celebrate the 60th anniversary of this park that preserves the lighthouse and its adjacent maritime forest, giving visitors a unique opportunity to step back in time. The 10 a.m. to 2:30 p.m. celebration will feature talks by the Friends of Barnegat Lighthouse State Park, guided tours of the maritime forest trail, tours of the Barnegat Light Schoolhouse Museum that houses Old Barney’s original Fresnel lens, a presentation by the New Jersey Lighthouse Society, a talk about the United States Life-Saving Service, and guided walks to see rare beach-nesting birds. At 2 p.m., a ceremony will be held to rededicate the bust of George Meade who, prior to leading the Union to victory at the Battle of Gettysburg as a major general, designed Barnegat Lighthouse and other lighthouses along the East Coast in the 1850s. Visitors can also enjoy extended hours for climbing Barnegat Lighthouse from 10 a.m. to 9 p.m., providing a unique opportunity for sweeping evening views of the coastline. The top of the lighthouse is accessed by a 217-step spiral staircase. The park’s celebration coincides with the borough of Barnegat Light’s celebration of Discover Barnegat Light Day, featuring tours of the docks at Viking Village, a U.S. Coast Guard station tour, car show, special merchant events, and a concert. Standing 175 above sea level, the current lighthouse was constructed in the latter 1850s to replace an earlier and much smaller structure Meade deemed inadequate. Then a lieutenant with the Army Corps of Topographical Engineers, Meade designed the new brick tower to better guide mariners past dangerous shoals fed by sand from the inlet. Old Barney’s light first shined on the night of Jan.1, 1859. It was equipped with a beehive-shaped, kerosene-fueled Fresnel lens made up of 1,000 glass prisms that could be seen up to 19 nautical miles (22 statute miles) out to sea. Over the years, Old Barney and the land around it were pounded by storms and erosion, leading to various efforts to protect the structure. Today the lighthouse is protected by a sea wall. Numerous efforts helped protect the lighthouse from being lost to deterioration, weather and eroding shoreline. It was turned over from the federal government to the state in 1926 for historical conservation. The light’s functional use diminished with the anchoring of the Barnegat Lightship offshore in 1927, at which time the lighthouse was decommissioned. On July 11, 1957, the bronze bust of Meade was unveiled at the official dedication of Barnegat Lighthouse State Park during ceremonies replete with bunting and fanfare. On Jan. 1, 2009, a new replica light was switched on to mark the 150th anniversary of the lighthouse, the result of efforts by the state park service and the nonprofit Friends of Barnegat Lighthouse. The history of the lighthouse is showcased in illuminating exhibits at the park. 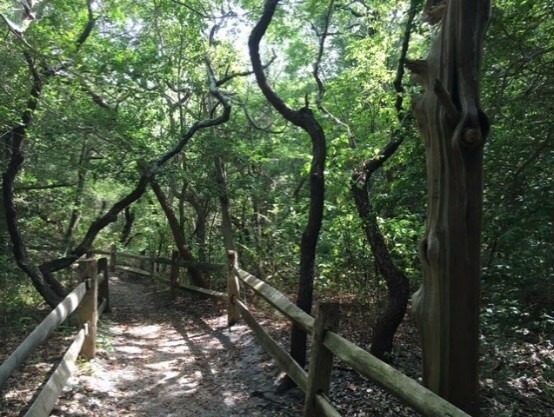 The 32-acre park preserves a maritime forest of black cherry, sassafras, eastern red cedar and American holly, and is an important resting and feeding area for migratory birds. There are few forests like it remaining in New Jersey. An ADA-compliant walkway and picnic area provides access along Barnegat Inlet. Admission to the park is free. There is a $3 fee to climb the lighthouse for those 12 and over, and $1 for children ages 6 through 11. Children age 5 and under are free.